Where has the last three weeks gone?!? Running a marathon in just 11 weeks seems a little daughting, I thought thinking in terms of days might help but equally 77 days doesn’t seem that far away. But I’ve done it before and I know that if I remain injury free I can do it again; just this time I have a time goal – not yet set this but in general terms, FASTER. The pesky shin splints are back, particularly following speed treadmill sessions so I’m trying out some Enertor insoles which are said to reduce shock on impact by 44%. Given that the impact on your knees/ankles is 5 times your body weight I’m hoping this might help. I don’t even want to do the calculations on the load I’m putting on poor joints. I have also invested in a new pair of my beloved Ultra Boosts but opted for the stability version. They certainly seem to be helping and I love the design! They are actually men’s but you couldn’t tell. I’ll report back on both after further use. A number of treadmill speed sessions – when I say speed, they are what I consider to be fast. I normally do 3-5miles varying between 10.5-13 mph speed with recovery for 30 seconds at a time at 9-9.5 mph. I managed to stay at 13mph for 42 seconds the other day and was immensely happy with this progress, before I promptly felt horrendously sick and light headed and it took me a good hour to recover. Maybe I need to try this at the beginning/middle of the session rather than it being my final push. Road running – I’ve pottered, I’ve taken on hills and generally stretched the legs, enjoying the lighter evenings, on the days it doesn’t torrentially rain! 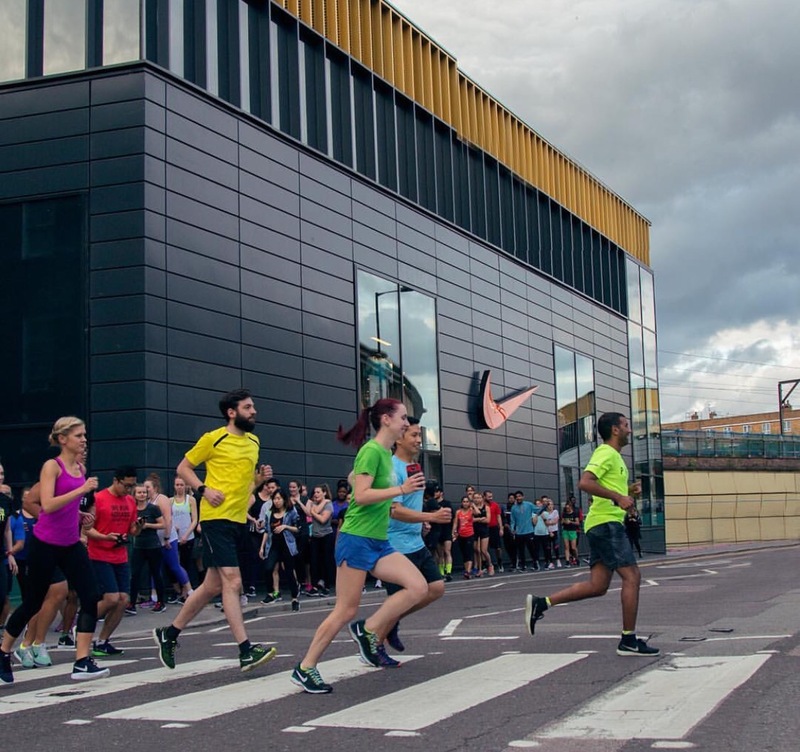 I joined Nike run club for their Home Run on tour to the new Hackney store, the other day and it was fab to run with a group of such upbeat friendly people. The pacers are also fantastic. I was really struggling at one point, those pesky shin splits and the pacer I was with was super motivating, encouraging and kept me pushing when my legs started screaming. I will definitely be joining them more regularly. Plus I really want a NRC Runner t-shirt! If you fancy giving it a go you can sign up in their website. Snap from @nikelondon – Where’s Wally? *Fleur. Try and spot me! 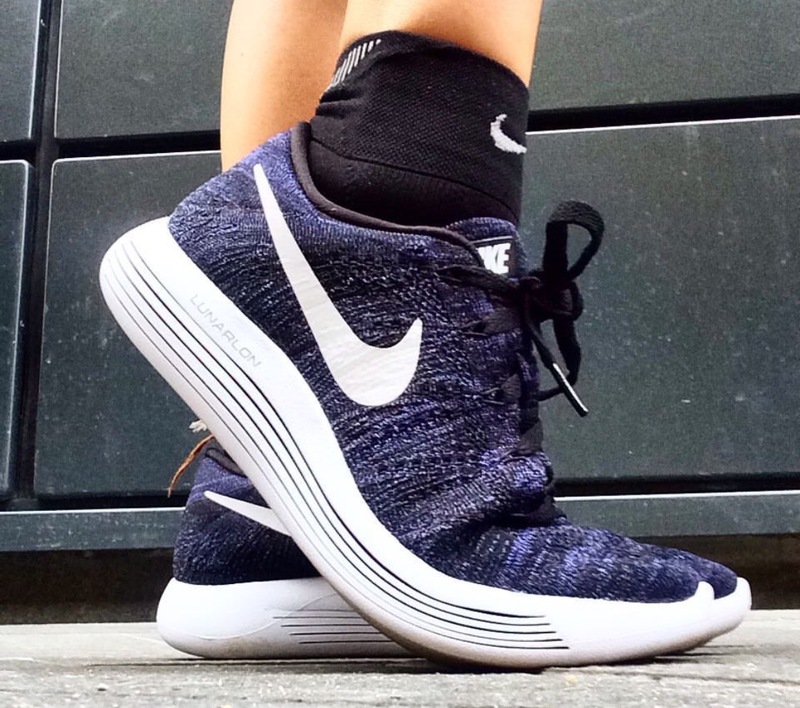 We also got to try the newly released Lunarepic Flynit trainers. 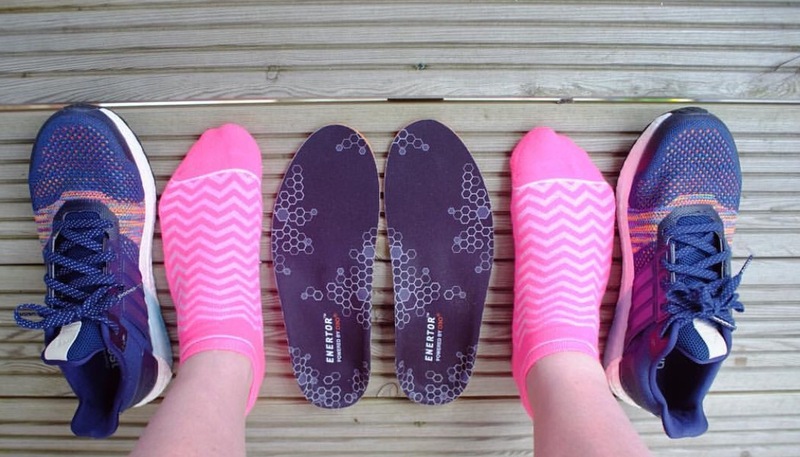 They are based on the concept of having no waste materials and have the most fantastic bouncy sensation in the middle of your foot which I’ve never experienced before. Trail running – I definitely under estimated what the difference in terrain can do to your speed but it’s good to mix things up and the beautiful scenery is the ultimate reward. 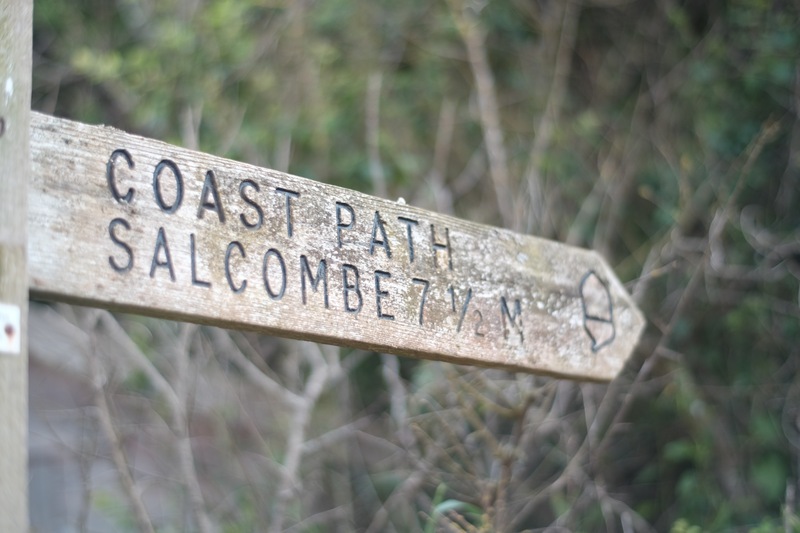 I’ve discovered some lovely pockets of woods locally, trails down in Surrey and more recently whilst away for a friend’s wedding in Devon. If you ever have the opportunity to go to Hope Cove it is stunning; scenic running heaven. Take me back! Strength training – I haven’t quite stuck to this and need to give myself a talking to; I know it’s important, I’d just always rather run. 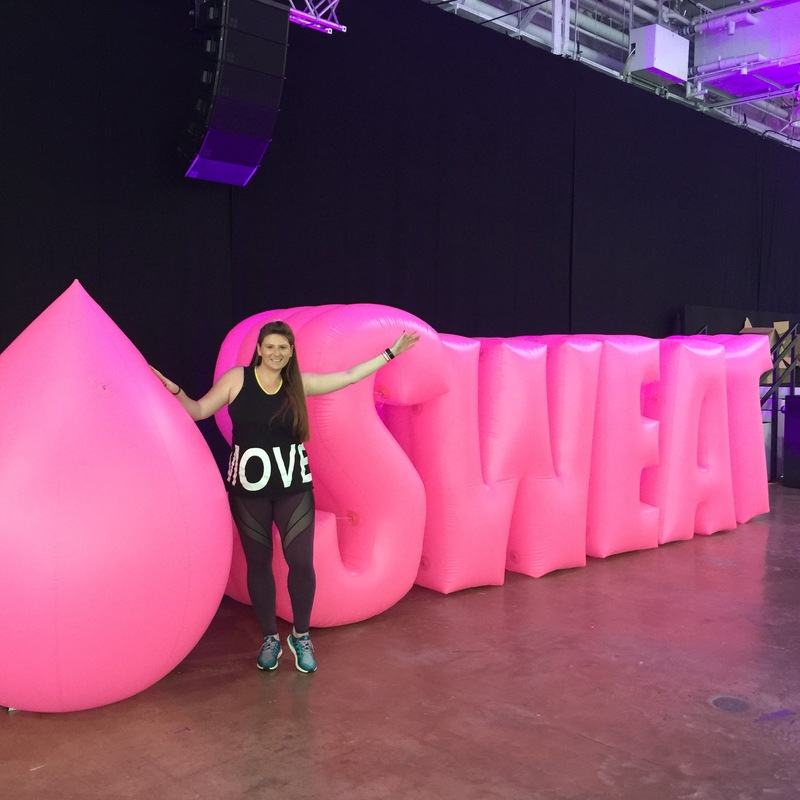 I did attend the London leg of Kayla’s Sweat Tour and boy was it hard. I’d rather take on a half marathon any day! I was sore for days and days. Broken record but I definitely need to bully myself to do body weight HIIT more often. I did look into signing up to her BBG programme but it really wouldn’t allow me to get all my running in. Maybe I’ll have a re-think post marathon in September when I can fully commit. I have some fun events/races/a fitness trip planned so July is looking very exciting and I’m aiming to be able to hold out on 13mph for a full minute by the end of July. What has every one got planned for this month? What are you training for? Let me know so I can follow your adventures. Sorry to hear your shin splints are back! I absolutely feel your pain and frustrations with them. I find that strength training, stretching and foam rolling really help, and the odd sports massage is always a positive! I also am a massive fan of Kayla and love her workouts (good for leg strength too!). I’ve just started training for Royal Parks Half, and I’ve scheduled in one Kayla and one leg strength session a week – hoping this will keep the shin splints at bay! Another thing I’ve learnt is that wearing different trainers for different types of running can help increase muscles in your legs/feet/ankles which also help with the shin pain – I’m wearing different trainers for speed sessions (the Nike sessions at Battersea – you should come!) and different trainers for longer/slower runs. Fingers crossed your shins get better soon and you can run a speedy marathon!